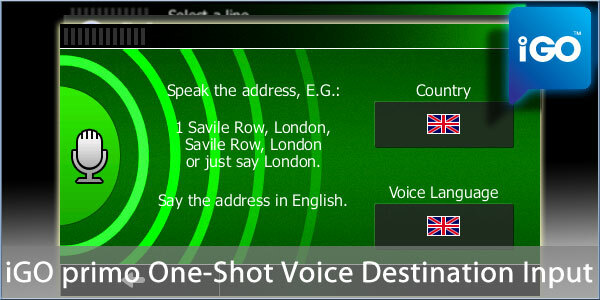 NNG are introducing One-Shot Voice Destination Entry in their iGO primo navigation software. Developed using the Nuance speech engine, this new technology allows a user to speak and entire address in one go. iGO primo uses its onboard speech recognition technology to produce a destination without further input. The new feature is available for OEM partners immediately and does not require any external data connection so is suitable for connected and non-connected devices. The software is also capable of supporting more than 20 European, Asian and American languages for speech recognition and 30 for the basic text-to-speech service. For more information visit NNG's web site at www.igomyway.com. Nice! I wonder if they will add it to the iPhone app at some point? I don't think any of the smartphone nav apps have a feature like this? It seems perfectly suited to a device that has a good microphone already present. I have the garmin it has voice reconation it's not that good it always selects the one I don't want, starts up as we chat in the car not the command for it to start up. It's more of a hindrance than a convenience.